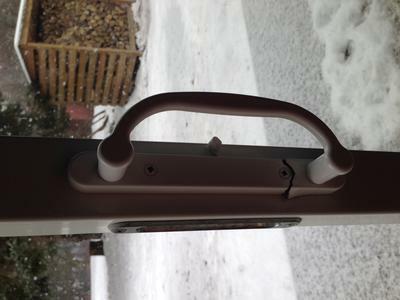 Hi, my two wonderful kids decided to have a push and pull contest with the door handles and the inside handle gave up first! I've tried the usual placed for a replacement (Home Depot, Lowe's) with no joy. The door still locks, it's only the handle that needs replacing. 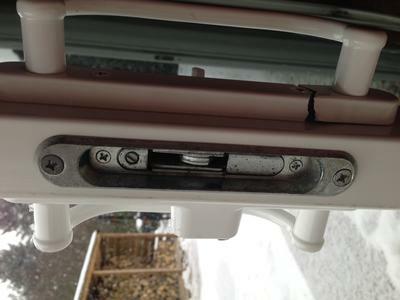 I've attached some pictures for you to have a look, the distance between the fixing screws is 4"
Should you require any further information please let me know. 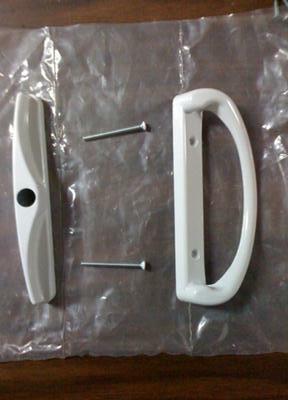 Comments for Finding a replacement sliding door handle! 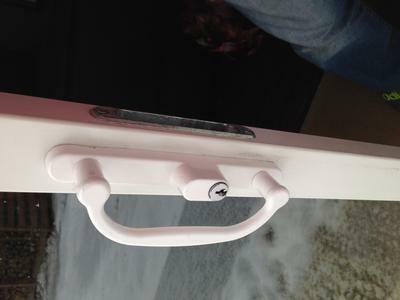 Hi thanks for the response, the door is white on both sides, the lock itself still works, not sure if you can just get the handle part? either way if you could let me know the costs and where i can pick it up that would be great.